Jonathon Silver from Durham University offers his thoughts on the start of the SAMSET project and its progression. During our first network meeting of SAMSET we enjoyed meeting the wider team and the range of partners involved in our collaborative investigation. In a session organised by myself and Simon Marvin from Durham University we started to outline how we intend to go about developing a knowledge exchange framework for the SAMSET. Whilst this is a bit of a mouthful the basic aim of the framework is to act as way to think about how the context of urban Africa challenges established ways of researching and supporting energy transitions. We began our session by posing a question to the team, ‘What does your own work suggest are the two most important issues the urban energy transitions framework must consider if it is to be effective in your local context?’ Through the answers we were collectively able to begin to map out the energyscape across the different urban contexts and reflect on some of the similarities and differences that exist across Ghana, South Africa and Uganda. This is important as whilst there are some obvious commonalities such as high rates of energy poverty, other issues such as the links to climate change provide some very different contexts for work by the team. As such we see the framework as informing the SAMSET investigation about the place based nature of energy transitions, something that has been lacking in much of the literature examining such issues. Over the next few months we will be bringing together these various dynamics into the framework that we hope will begin to interrogate what an urban energy transition means in different places, the key actors and drivers in such processes and the opportunities that are available across the cities we will be working in. We were pleased that the network meeting provided the first step in this process and look forward to meeting the wider team again later in the year to report back on our progress. This entry was posted in University of Durham and tagged Africa, Climate Change, Durham University, Energy, Energy Poverty, Ghana, Knowledge Exchange Framework, South Africa, Sub-Saharan Africa, Sustainable Energy, Uganda, Urban, Urban Energy Transitions on December 19, 2013 by danielkerrucl. 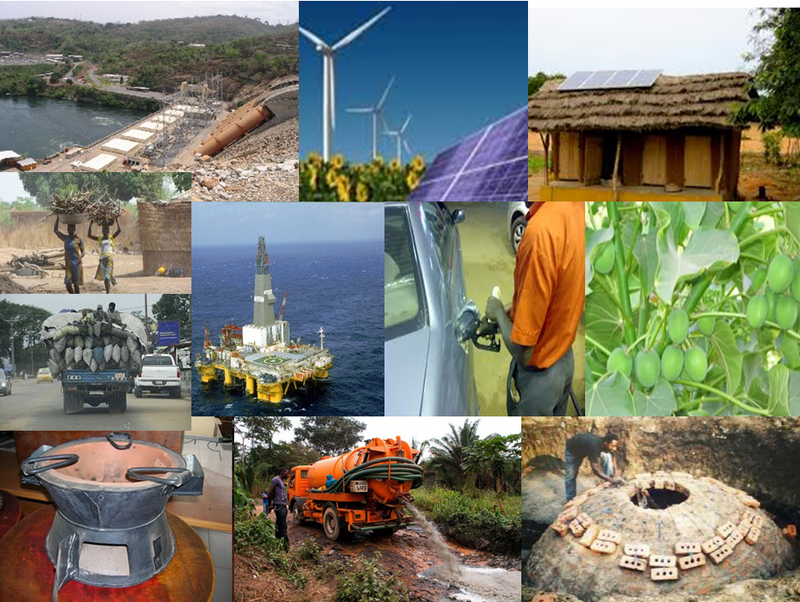 The Supporting Sub-Saharan Africa’s Municipalities with Sustainable Energy Transitions (SAMSET) project’s first network meeting was held in beautiful Tanzania at the end of October 2013. SAMSET is a essentially a collaborative effort between people in very different places with quite different skill sets and backgrounds looking at the ‘wicked’ problem of sustainable energy use in cities. Not just any cities but some of the fastest growing cities in human history. Recently the annual lecture of the South African Academy of Engineers quoted Horst Rittel’s 40 year old definition of wicked problems, “The kinds of problems that planners deal with – societal problems – are inherently different from the problems that scientists and perhaps some classes of engineers deal with. Planning problems are inherently wicked.” City scale problems are of course essentially planning problems. The Energy Research Centre’s input to the study is mainly around energy system modelling which perhaps has limited potential to actually solve this wicked problem of sustainable energy use in the face of massive and growing demand but is important for laying down a foundation of solid science for decision makers. The country partners that will be working with us from Ghana and Uganda are respectively economists and architects, as yet unfamiliar with the tools, so we anticipated a challenge in initiating collaboration across disciplines. The meeting of engineers, economists and architects however proved to be quite fruitful and a wealth of useful data and insights were presented that lay a good foundation for proceeding with model building in 2014. The first network meeting, from our perspective, was therefore very successful in letting teams get to know one another, show their strengths and start colouring in some perspective on the nature of the problem and its challenges. This entry was posted in ERC - University of Cape Town and tagged Energy, Planning, Sub-Saharan Africa, Sustainable Energy, Urban on December 4, 2013 by danielkerrucl. Simon Bawakyillenuo and Innocent K. Agbelie of the University of Ghana offer their thoughts on the project. Designing, testing and evaluating a knowledge exchange framework to facilitate sustainable energy transition among Sub-Sahara African cities and municipalities could not have come at a better time taking into account the proliferation of urban centres in most African countries and their accompanying weak structures. As one of the partners of SAMSET project, Ghana will benefit immensely through learning and sharing lessons with the other SAMSET project countries in Africa (South Africa and Uganda) in a bid to build a formidable sustainable energy transition path. The predominance of wood fuel in the energy consumption mix of Ghana, coupled with inefficient charcoal processing and cooking technologies have the propensity to wreck more havoc on the already depleted forest cover in the country in the absence of sustainability measures. Additionally, the over-reliance on the Akosombo hydro-power plant, which is susceptible to climate change and climate variability, necessitates a paradigm shift that will embrace the use of alternative energy sources such as new renewable energy technologies (solar, wind, bioenergy, etc.). In this regard, institutional strengthening and capacity building as well as national sensitization are very imperative for the provision of a holistic solution to these problems. The roles, expertise and experiences of Sustainable Energy Africa (SEA), Durham University, University College London (UCL) as well as the Gamos, who are all partners of the SAMSET project are sine qua non in facilitating the development of a practical knowledge framework, which will enhance the mainstreaming of clean energy technologies into the development plans of various cities and municipalities in Ghana. The substantial progress already made by some municipalities in South Africa regarding the adoption of different forms of renewable energy technologies is a model worthy of emulation by other cities and municipalities in Africa. Significant among the factors underpinning this success are strong institutional arrangement and government support. Therefore, the process dynamics of SAMSET, which takes into account the involvement of relevant and enthusiastic stakeholders at selected municipalities, is indispensable in creating a platform that will fortify the transition to sustainable energy practices in cities and municipalities in Ghana and others in Sub-Sahara Africa. This entry was posted in ISSER - University of Ghana and tagged Akosombo, Ghana, Renewable energy, Sub-Saharan Africa, Sustainable Energy, Urban on December 4, 2013 by danielkerrucl.